 Chiropractors specialize in the location, reduction and stabilization of the vertebral subluxation complex, which can be related to many of the uncomfortable symptoms associated with pregnancy and labor. In addition to relieving the discomfort many expectant mothers experience, chiropractic care helps normalize nervous system function. This is an important component of overall good health. The benefits of chiropractic care may also be noticed during delivery. Many chiropractic patients report their deliveries were faster and more comfortable than their deliveries prior to chiropractic care. The period of rapid development, hormonal changes, the laxity of connective ligaments, and shifting of weight-bearing structures, may cause pregnant women to experience low back pain. Our doctors and staff will work with you to develop a plan of care that is appropriate throughout your pregnancy. We offer a variety of alternatives to help you through the coming months. Our doctors will take special precautions with you during your pregnancy. Modifications to the table or adjusting techniques are made at each stage during your pregnancy.